Tuesday, May 15, 2018, at 7 p.m. Artist Wendy Allen presented the 7th annual Rolland Lecture at 7:00 p.m. on Tuesday, May 15, in the Theater of the Allen County Public Library’s Main Library, 900 Library Plaza, Fort Wayne. 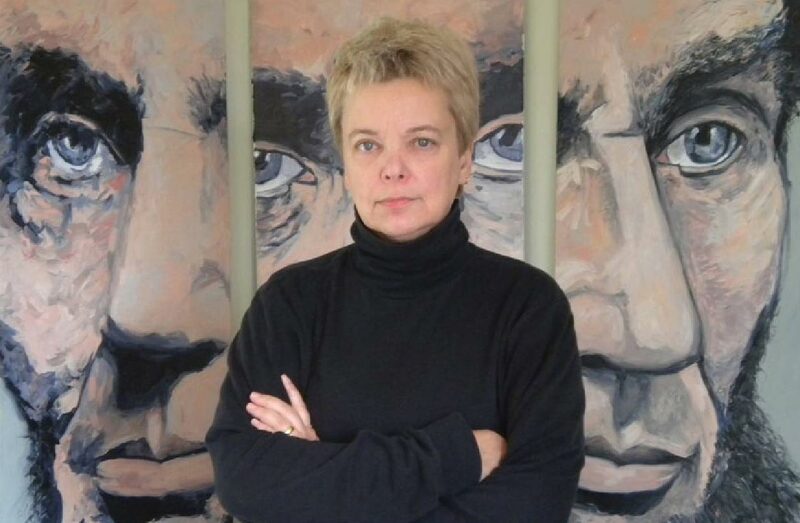 In “Searching for the Exact Location of America’s Soul: An Artist’s Pursuit,” she explored her 35-year experience creating portraits of Abraham Lincoln. Allen’s studio and gallery, Lincoln Into Art, is located in Gettysburg, Pennsylvania. She can be reached at lincolnintoart@gmail.com, or (717) 398 2561. The 2018 Rolland Lecture is sponsored by the Lupke Foundation and is free and open to the public. The Friends of the Lincoln Collection of Indiana created the Rolland Lecture Series in 2012 in honor of the late Ian Rolland, who chaired the capital campaign to endow the Lincoln Financial Foundation Collection and served as the Friends’ vice president until his passing in 2017.